Gerontius, gaining the support of the troops in Spain, caused the barbarians in Gaul to make war on Constantine. Since Constantine failed to resist this attack, the barbarians across the Rhine attacked everywhere with their strength, and brought the people of Britain and some of the nations of Gaul to the point where they revolted from Roman rule and lived by themselves, no longer obeying Roman laws. The Britons took up arms and, fighting for themselves, freed the cities from the barbarian pressure; and all of Armorica and other provinces of Gaul, in imitation of the Britons freed themselves in the same manner, expelling the Roman officials and setting up their own administration as well as they could . From this, it is evident Britain cleared itself of the invaders and managed their own affairs independently of Rome. Presumably anyone representing the authority of Rome as ousted into oblivion. For the first time in nearly four hundred years, Britain was again autonomous. Of the Roman troops that were left in Britain, their choices were straightforward. Either change and adapt to the new regime, or get out of the country. Actually making this choice was a more difficult affair. Many of the soldiers in Britain had been stationed in the country for many years. Some of them had married local women and raised families. These troops in particular had a difficult decision to make. 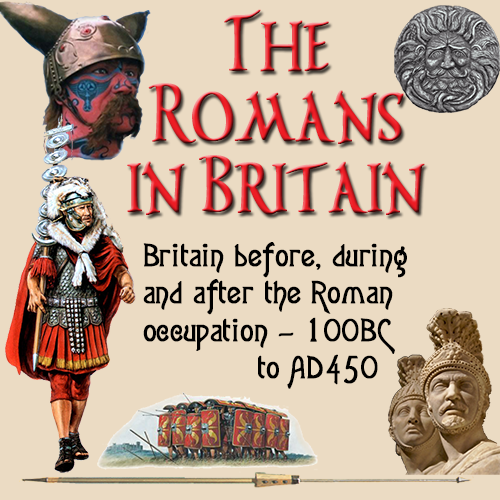 To stay with their families in Britain, or go back to Rome, their families there, and rejoin the Roman army that had been a part of their lives for so long. There still remained one major issue regarding the defence of Britain. A very large part of the armed forces was made up of barbarians. They had joined the Roman army primarily because they paid well and there was regular employment. This was reflected throughout the Roman world in general, so was not confined to Britain alone. There were obvious doubts raised as to their loyalties should any further aggressive moves be made by foreign tribes. There were still those who regarded their future to be safer under the Romans, and so in 410 these people appealed to Honorius for help in defending Britain. This may have been an attempt by those still loyal to Rome to rejoin what was left of the Roman Empire by the back door. Whatever the reasons the reply came in the form of a rescript that instructed Britain to organise it's own defences. A rescript being a reply to a question, which was also intended to be either an instruction or, in many cases, the passing of a law. In any case, the Roman Empire was in decline. Internal battles deflected the attention away from the ever present threat of barbarian assaults. For this they paid a dear price. With concerted and coordinated attacks on various parts of the empire at once, the invaders had overpowered the Roman army and taken lands that would never be recovered. The fatal flaw in the Roman military structure was clear. They could handle attacks from a single front as troops could be moved from more stable territories as reinforcements. But multiple assaults coming inwards from all around the empire caused chaos and confusion. The shape of the empire meant that the Romans were surrounded by enemies. Nearly all of whom struck at once.